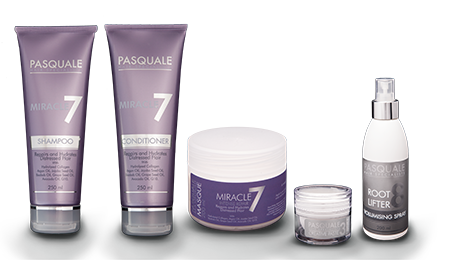 Pasquale Hairstylists was founded by Maria Gough in 1972 and has today grown into the largest single salon in South Africa. We pride ourselves on our excellent client service and this is due to continuous training and development of ALL the Pasquale staff. Industry icon, partner and Pasquale Fashion Director Yvonne Bryson has won many industry competitions and mentors the staff in creating amazing photographic images, shows and salon work. Many of our staff win industry competitions – 2014 and 2015 one of our Learners won a trip to Paris as winners of the Intercoiffure FG Competition – Pasquale Vice Fashion Director Natasha Cornelius won the 2015 South African Hairstylists of the Year – Pasquale Academy Third Year Learner Maretha van Wyk won the 2016 South African Avant Garde Hairstylist of the Year. We have always been committed to training and we opened the very successful Pasquale Hairdressing Academy in 2004. Our objective is to help each learner to achieve their full potential and we pride ourselves on the achievements of our learners in the hairdressing industry on completion of their three year Pasquale training. There is a huge demand for newly qualified Pasquale learners. Pasquale partners Maria Gough, Yvonne Bryson and Janine Gough work incredibly hard to create a motivated, happy and highly skilled staff with a great attitude and the result is a busy salon with many happy clients.